Just 2 days left to save $50 off the full registration fee for this year's race. Register by April 14 and save $50 and also be eligible for our "no questions asked" refund benefit. Just let us know by May 11 that you want to withdraw and receive a 75% refund of your registration. You can register now on Bikereg. We will have three great stages of racing once again this year including our historic and exciting circuit race, a 60-mile single-loop road race (75-miles for P/1/2 & Cat 3 men) with a tough and challenging 1550 feet climb to the finish, wraping up with a rare 11-mile individual time trial which year after year results in very close racing for the top spots on the podium. We hope you can compete at this year's KSR. 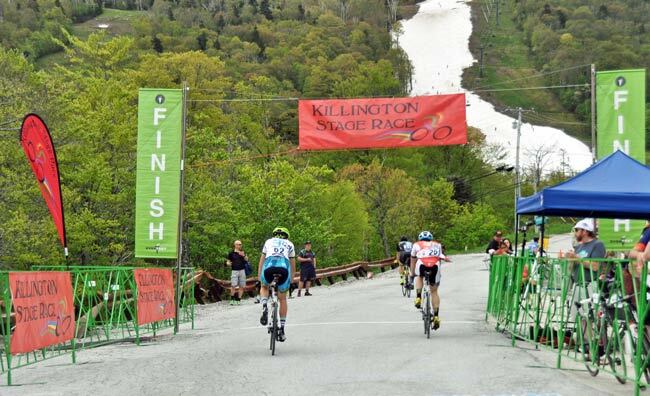 The Killington Economic Development & Tourism Board is our title sponsor. They represent all the business in the town of Killington.